1. 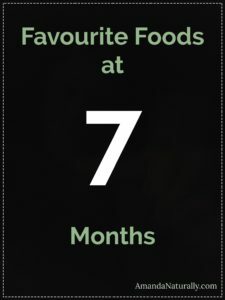 If you’re interested, read the previous posts in this series first: First Foods and Favourite Foods at 6 Months. After 6 weeks of purees, thick soups and pate, Baby H moved up to real food pretty quickly. This was awesome, because I just fed her 1 or 2 of the items that we were eating! I still froze a few cubes of soup to have in case I wasn’t comfortable giving her the food we were eating (e.g. nights we decided to have something like gluten-free pizza, or when we went somewhere that I wasn’t happy with the quality of the food). So feeding the peanut literally meant no extra work for me, which was a great deal! It also made me even more aware of what we were eating, because I wanted to make sure she could eat some of it too. You can see below that I’ve broken the foods down into 2 categories. These are nutrient-dense animal foods, which contain the meaty minerals she requires right now like zinc and iron, and fun flavours, which are great for palate development as well as supporting gut diversity! Eggs – I scrambled them for a few weeks, followed by frying overhard (emphasis on the yolk), and cutting into strips so she could hold them. By the end of 7 months, we would scramble them with spinach, or fry overhard and give her pieces of the yolk to pick up. Pate – as soon as I discovered that she tolerated onions and garlic just fine, I stopped making baby-specific pate and just made my favourite pate! Bonus is it got me eating pate again…haha! Fish – we stuck with salmon, because we made it a lot, and it flakes really well. At first we had to give her a bit of water to sip on, because it was dry, and it stuck to her palate, causing some minor gagging. But after a few times eating it, she became a pro! Meat – she absolutely loved large chunks of meat, like beef strips or a piece of pork chop. We made sure it was large enough that she could grab it and not put the entire thing in her mouth. Once her 2 bottom teeth came through, we had to watch carefully because she quickly became a pro at ripping pieces off that were way too big for her! My only issue with large pieces of meat is she didn’t actually get a lot down, but she loved gnawing on it! Ground meat was next, sautéed with taco spices (because that’s what we were having!). It was spicy and she loved it! Halfway through this month, she had developed a sort of pincer precursor and ground meat actually let her practice it! Ferments – I started her on a bit of plain, homemade kombucha, which was very tart! She loved it! Next I did a few pieces of sauerkraut (also homemade). I literally only gave her 2 tiny shreds, to make sure the cabbage didn’t bother her belly (note: I was super cautious because she didn’t tolerate ANY brassicas in my diet for her first 5 months). By the end of the month she would eat about a teaspoon. The sour taste was hilarious. She ate it, reacted strongly, and immediately went back for more! Cucumber – I cut off a large chunk, and peeled half of it (the non-peeled side helps with grip). This was amazing for teething because it’s cold and firm but soft. Asparagus – this was one of her favourites! She loved chewing on them. She didn’t actually eat a ton, but enjoyed mashing it with her gums. Soups – we continued with soups from 6 months, although it became much easier because we were able to give it to her in a sippy cup with a built in straw! She stopped taking it from a spoon (because she wanted to feed herself) and instead smacked the spoon sending soup flying. Thank goodness for the dog. The straw-based sippy cup was a game-changer! The 2 favourites were Thai Butternut Squash and Ginger Carrot. Avocado – she loved avocado, and would easily polish off a ¼ of one. It is interesting to note that, while it didn’t cause any discomfort, the little pieces routinely ended up in her diaper. So clearly was not digesting it well yet! At least I know it’s feeding beneficial gut critters! Coconut milk – I exclusively used Aroy D brand, because there is nothing in the but coconut and water. Please note that I was not giving her this as “milk” or a replacement for breastmilk or formula. When she needed a bit of liquid to help swallow something like salmon, instead of giving her water (which fills up space with no nutrients), I chose to give her a liquid that also had a ton of healthy fats! At first we gave it to her in a shot glass, but by the end of the month the straw-sippy cup was preferred because she could feed herself! 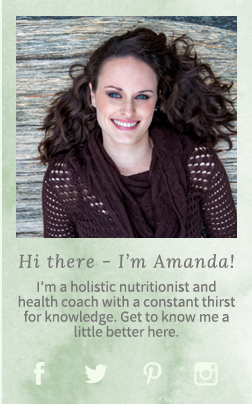 I never gave her more than ½ – 1 once at a time, because I didn’t want her filling up on that instead of breastmilk. Sweet potato – we often shred sweet potatoes as a quick starch with many of our meals. I made sure to add some extra fat like olive oil or coconut oil to hers. She really enjoyed it, but it also let her practice her pincer! Kind of like the real food alternative to cheerios!